William specializes in complete financial planning, tax reduction including reducing or eliminating taxes on Social Security, asset protection, insurance, retirement income planning, cash flow, medicare and is a veteran's benefits advocate. 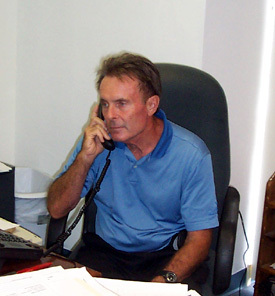 William is also a viatical settlement broker licensed with the state of Florida. He helps people receive a lump sum cash pay-out for their life insurance policy of any kind if their needs have changed and no longer want or need a life insurance policy. William is frequently asked to speak at the VFW, American Legion posts, and public and civil organizations. In his spare time he flies airplanes and drones and has had an active pilots license for over 30 years.